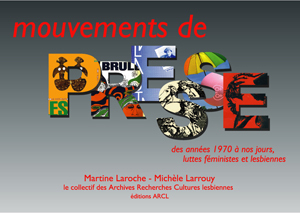 A mini-conference based on the posters from Press Movement: 1970 to the present - feminist and lesbian struggles by Michèle Larrouy and Martine Laroche. With Michèle Larrouy, Martine Laroche (unconfirmed) and Suzette Robichon, discussion and guided tour. 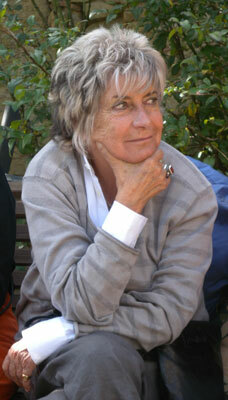 Michèle Causse systematically demanded recognition of her position as a radical lesbian. For her, a lesbian is « inaccessible, untouchable, inalienable, inappropriable... ». « A lesbian can't be a fiction, but a utopian and therefore political reality (.). Existing, for her, can not be imitation, because she alone must, (.) give birth to herself. ». (L'interloquée, Les oubliées de l'oubli, Dégénérée, Editions Trois, Québec, p. 51 and 60). Suzette Robichon, editor of the revue Vlasta, revue des fictions et utopies amazoniennes (1983-1985) co-founded with Michèle Causse and Sylvie Bompis, will introduce Michèle's journey as a writer, translator and nomad.